This wonderful collection of Christmas hits will provide you with blessed sounds for the hectic holiday season. Artists such as Don Moen, Bob Fitts and Lenny LeBlanc perform beloved songs and beautiful instrumentals. 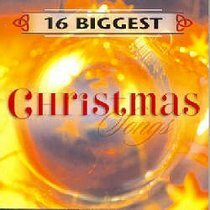 About "16 Biggest Christmas Songs"